Research by design in architecture means working in collaboration, across disciplines, reflexively and through experimentation. This volume's multi-perspectival design theory reflects the European traditions of the 20th century across three main fields of architectural knowledge production: Experimental real laboratories, border-crossing projects and key strategies of research by design. This article introduces the general framework of the second volume, but also reflects recent discourse on architectural education, to examine the potential of design research as a discipline and as a cross-disciplinary methodology, bridging today's highly specialized academic environment. For centuries, architects have reflected their positions, results and observations from the makers' perspective, anchored in individual design experiences and the reflection thereof. From The Ten Books on Architecture by Vitruvius to Vers une Architecture by Le Corbusier and to S,M,L,XL by O.M.A., architects have handed down their implicit knowledge from practice to forthcoming generations, transformed as objectified, arguable knowledge, through publications, teaching activities or exhibitions. Traditionally, these (self-)reflections serve to revitalize the historical canon of architectural knowledge, for our profession and academic discipline. They also contribute to crystallize and disseminate the individual know-how, as knowledge positions within the contemporary, interdisciplinary, discursive landscapes of architecture-related sciences, arts and politics, as crucial input for a vivid professional exchange. In the quest for a better society, explorative practices of solution-oriented design thus generated original and unique knowledge, through, but also about design. Office for Metropolitan Architecture, Rem Koolhaas, Rotterdam. 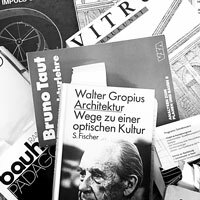 For the specializing landscape of architectural production since the 20th century, Walter Gropius located a dialogical, responsible mindset, the key challenge of modern design research, as the source of a capacity to synthesize specialized areas of knowledge – in order to develop responses for the complexities of civic life: "As all [relevant fields of knowledge] are interdependent, we cannot consider them separately in compartments. Their connectedness directed towards a cultural entity is undoubtedly of greater importance for success in planning and housing than finding ever so perfect practical solutions for limited objectives. If we agree on this rank order, then the emphasis must be on the composite mind". Walter Gropius: Scope of Total Architecture. New York 1955, p. 144. In the first of his ten books on architecture, the Roman author and architect Vitruvius described this ability of a composite mind as ability to recognize the 'delicate threads of resemblance' to connect the different aspects between the fields of knowledge through the practice of designing. Cf. >>>Jäger: V:II_1.4 Epilogue: Opening and Sharing New Spaces of Thought. In: Jäger, Pieper (Ed.s) et al. : Reiseuni Report | The Making of. (in the following: [RR]). Before, between and after two world wars and accompanied by always heated debates on dominant paradigms for the development of metropolitan areas, influential pioneering real laboratories of the 20th century have shaped the building culture of European architecture (Baukultur) between Barcelona, Vienna, Paris and Berlin through innovative building types, urban housing concepts and new environments to search for new opportunities in constructive, aesthetic and functional dimensions of design. These research endeavours in the field of design methodologies for cross-disciplinary cooperation represent the potential resource of real laboratories rooted in research through (or by) and about (on) designing (design research) – the cornerstone of architects' traditional knowledge culture, which interconnects diverse areas of knowledge and experiences through practice-based design research to solve relevant problems. Important characteristics such as the project-based cooperation with flexible interdisciplinary teams and the selection of appropriate sources of knowledge in the fields of engineering, technologies, artistic disciplines and human sciences serve to develop the open-ended questions until today. The analysis of mostly complicated (i.e., contradictory demands), complex design processes in work-learning contexts of teams take place with stakeholders and parties involved, with craftspeople and other specialists over several years or even decades. Just remember some of the pioneering design research positions of the early 20th century – like the Spanish pioneer architect Antoní Gaudí, who investigated biomorph structures within work contexts rooted in the builder's hut tradition, or the Bauhaus masters in Weimar-Dessau, reforming the teaching and research landscape towards an international, team-based real laboratory anchored in a framework of experimental workshops, while shaping interdisciplinary work-research environments for young and experienced practitioners. These laboratories could be considered as role models for numerous public or private research environments of the following generations, forming part of an open source culture and team-led knowledge transfer encouraging a wide-reaching sensibility for cross-cultural architectural practice, such as the globally acting studios of RPBW Architects (Renzo Piano Building Workshop), The Wy Factory (MVRDV) or AMO (O.M.A.) and multiple interdisciplinary faculties for building throughout Europe – exemplary models for the more recently founded international networks as ANCB Berlin, Klein Dytham Architecture (PechaKucha) or Reiseuni_lab (European Architecture Dialogue), where all involved architects, specialists and non-professionals share a multi-disciplinary understanding about research by design processes, while establishing inter-generational and multi-media learning approaches within academic or non-academic structures of horizontal organization. As the designer-teacher Otl Aicher reflected, the design process is "the creation of the world. It arises where theory and practice collide. Then, they do not sublate each other. They find their unfoldings (...) of what is not yet, neither in theory nor in practice". This realization results in the claim for design as an independent methodological practice or discipline. 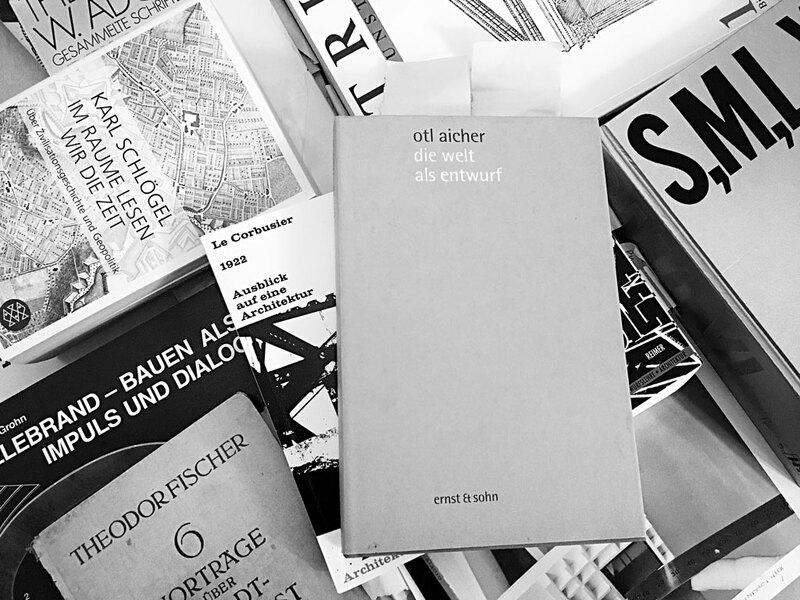 Quoted from: Otl Aicher (1922-1991): "der entwurf ist das erzeugen von welt. er entsteht dort, wo theorie und praxis aufeinanderstoßen. diese heben sich dann nicht gegenseitig auf. sie finden ihre entfaltung (...) dessen, was noch nicht ist, weder in der theorie noch in der praxis." (die welt als entwurf. Berlin 1991, p. 196). In 1953, Aicher founded the Ulm School of Design HfG Ulm with Max Bill and Inge Aicher-Scholl in continuation of the intellectual Bauhaus heritage. The individual experience and direct participation of architects (as well as designers or engineers) in traditionally interdisciplinary processes of design and research through and about design remains an exceptional matter of the discipline's approach to knowledge generation. Despite examining architecture from an internal perspective, for centuries, architects have established strategies to transmit individual or inter-subjective, project-bound experiences towards relevant architectural research. This research is made available as knowledge on diverse scales: Besides the reflection via observation, documentation and critique as part of design theory-building, a wide range of approaches to develop, visualize or systematize design knowledge has been elaborated. The experimentation with new tools, methods, strategies or artistic rules exemplifies parts of the knowledge culture, as well as feedback or peer-to-peer traditions (e.g. the tradition of competitions with juries) represent contributions to the multi-faceted knowledge of and about design. For the last two decades, concepts of architectural design as science, as knowledge and as research have been debated, having started during the preceding discursive waves of the 1960ies design methods movement. In the recent contexts of higher education policy, the question about the specificity of design as research-led discipline and its methodological ascertainability within the scientific, academic landscape has arisen in particular in the course of the re-shaping of curricula frameworks and the modified governmental funding policy during the European Bologna process. Exemplary reference: Research by Design, conference at TU Delft with EAAE/AEEA, 2000; GAM, Architecture Magazine Nr. 02: Design Science in Architecture, Graz 2005; Design Inquiries, conference at the University of Arts, Crafts and Design, Stockholm 2007; Generalist Nr.0 On Designing / Generalist Nr.2, Research, Technical University Darmstadt 2008/2010; Reiseuni Report | Making of: 2008-2018, Volume 1-4, Open Access publication & Blog by the European network Reiseuni_lab; Wissenschaft Entwerfen. Vom forschenden Entwerfen zur Entwurfsforschung der Architektur, conference eikones Forum Basel 2011; JAR Journal for Artistic Research, Open Access journal by the network SAR, since 2011; DARA design & research, Doctoral colloquia series at the Institute Geschichte & Theorie der Architektur, Leibniz Universität Hannover, since 2012; RCA 2018 Research Culture in Architecture, Technical University Kaiserslautern, 2018. Since around 2000, and starting my career as an architect-lecturer at the University with a special focus on developing research by design approaches as didactic models for contemporary and interdisciplinary education, together with colleagues, I initiated various public platforms of cross-disciplinary exchange on architectural education and artistic research within different university environments of technology, arts and humanities. Inspired by interdisciplinary team experience from design practice, the author developed the design theory for a research-based, dialogical education, defended as PhD in 2007, BTU Cottbus, Germany (Schnittmuster Strategie. Eine dialogische Entwurfslehre. Reimer Berlin. 2008). 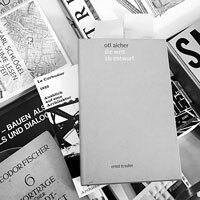 First in German, later in European constellations, the intention was to foster open exchange and the recognition about the rich diversity of designing, while updating a (self-)understanding of our arts-and-sciences-integrating discipline of designing within the architecture-related, European academic landscape. On the one hand, the design discipline has been shaped by a long tradition in spatially-based methodologies and multi-faceted discursive and material practices implemented in cross-disciplinary knowledge genesis, but on the other hand, the design research has also to face new challenges today. Especially, the project-oriented design practice, which focuses on the today's most relevant transformation of existing built environments, necessitates new approaches of analytic methodologies and participatory designing of processes, to explore tools of interdisciplinary cooperation in flat hierarchies or diverse networks, while implementing multi-media opportunities for design, communication and data exchange within mobile, flexible working contexts. Cf. the historical overview on key features of design theories with a special focus on the 20th century by Frank Hassenewert: Lehren des Entwerfens. Berlin 2006. My motivation to create and to moderate fruitful learning environments with students and colleagues, while also developing different models of research-based education during the last two decades, was supportively invigorated by the conversion of the European Higher Education Area during these years. After 2000, this process of critical revision caused mainly a productive open-mindedness to debates regarding renewal strategies for architectural didactics and curriculum concepts within the wide range of European academic systems as a network for knowledge creation and exchange. Re-(e)valuating the discipline-specific character of architectural research as problem- and project-based life-long learning endeavours of individual architects, which traditionally interconnects teaching, practice and research activities, numerous European proposals as well as agreements on education and research assessed the research qualities of contemporary architectural education. Cf. Charter For Architectural Education (UNESCO/UIA, revised Edition 2011); EAAE Charter on Architectural Research, Chania 2012; Salzburg II Recommendations. European Universities' Achievements Since 2005 in Implementing the Salzburg Principles (European University Association, Brussels 2010); Report of Mapping Exercise on Doctoral Training in Europe. Towards a Common Approach (European Commission, Brussels, 2011). Today, these original experiences have led to requests of how to further develop the framework for ensuring high quality education, as well as quests for (re-)vitalizing the diversity of cross-disciplinary and experience-based knowledge traditions through explorative research by design practice. The productive leeway of design as research within the academic landscape was recognized as a unique quality, because the enabling of cross-disciplinary design research activities addressing future societal needs in individually shaped constellations, represents the significant characteristic – providing an essential freedom to be fostered through open curriculum structures, interdisciplinary dialogue platforms and supportive European funding programmes. In Central Europe, more than 100 institutions of higher education (around 60 universities and universities of applied sciences only in Germany) converted and profiled their architecture programmes to today's two- or three-tiered cycles of architecture education, including a permanently increasing amount of discipline-related specializations, represented in high-profile master studies, departments and faculties. 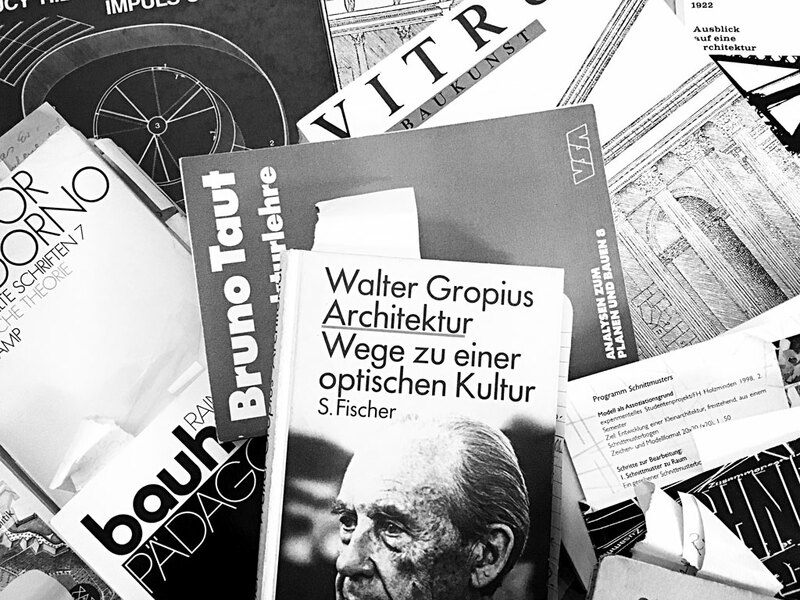 Since Walter Gropius claimed the composite mind as key ability to be trained, the academic education of architecture, engineering and planning further developed towards even more specialized areas. In consequence, despite the traditional 'pole position' of design, understood as project-based learning or creating as key subject to teach architecture (or design and arts), and its central position in curricula during the 20th century, design research still needs to be reinforced and re-defined to leverage its fruitful connectedness, which might bear the potential to bridge the specialized fields of knowledge for a problem-oriented, methodologically flexible and reflective practice, including theory-building. The brief of the European Charter on Architectural Research defines design as essential feature, as "creation, transformation and interpretation of the built environment" with the super-ordinated task to face "challenges of climate change, globalization, urbanization and social transformation that necessitate vital research". The wide-ranging methodological potential of design research offers question-based (as well as problem-oriented) solution-finding approaches which might – in addition to the charter – answer the request on needed 'learning to learn strategies' in these fields for today's relevant societal challenges. While creatively exploring, selecting, appropriating, integrating and adopting needed and unknown fields of knowledge to those social and physical areas which were subject to transformation, contemporary design practice also implements a large variety of visual, spatial and communicative strategies. Via interdisciplinary constellations of the involved, unknown questions could be worked on in comparative ways geared towards a reflective research by design process. EAAE Charter on Architectural Research, Chania 2012, p. 1. Cf. the contemporary discourse on the didactics of higher education (Ger. Hochschuldidaktik), concerning the differentiation of research-based learning processes, re-activating the German tradition since W. v. Humboldt, but 'post-Bologna', while distinguishing between research-led or research-oriented learning about research methods or given contents – in contrast to learning as part of and within relevant research endeavours realized by students together with professors, common in our tradition of architectural research by design (cf. the discourse on participatory research, initiated by BAK, Bundesassistentenkonferenz, Marburg 1968). First research-by-design-based curricula, doctorate schools or conference frameworks started to respond to the wide range of qualities, "where the architectural design process forms the pathway through which new insights, knowledge, practices or products come into being", expecting text-based, visual and spatial strategies of investigation, while fostering activities of team-work, experiment and cross-disciplinary cooperation within research clusters "to generate knowledge, insights and understanding based on competencies, methods and tools proper to the discipline of architecture". EAAE Charter on Architectural Research, p. 1. With regards to the demands of design research as a discipline in its own right, as claimed by Otl Aicher, the position of design within architecture faculties could be amplified as a discipline bridging the academic research landscape of the arts, humanities and technical sciences. Subsequently, adoptive and open frameworks for curricula, research projects and public funding to answer and facilitate this diversity are mostly still works in progress and need further development. Its contribution as spatially bound, method-mixing means of understanding, operating through multi-faceted two- and three-dimensional, visual strategies, design research especially offers potent opportunities to reconcile imaginary or artistic discoveries and scientific, problem-oriented methods, which should be applicable for diverse disciplines dealing with spatial phenomena. To this day, most faculties in Central Europe, which are home to architecture departments, might further advance supportive research environments for the discipline-specific effort of individuals who engage in holistic, research-oriented design practices. These approaches unite teaching and research activities in reflective design practice as rich thought spaces and as part of knowledge contributions to the professional community and for the sake of the civil society. And this way of working seeks the dialogue with local policy-makers, city planning institutions, architecture-related industries or non-profit organizations, but also with other academic disciplines which might benefit from the border-crossing character, the 'composite mind', of design research. The interdisciplinary academic exchange platforms mentioned before served all of us – multiple members of architecture-related or arts-related disciplines – to first (self-)reflect and explain, and then to distinguish the specificity of individual research understandings as "meaningful and relevant for practice, for the discipline, and for society." Deciphering and comparing diverse concepts about relevancy, interdisciplinarity, sustainability or design cultures, we come to acknowledge that multiple specialized areas have established different terminologies and cultures of communication amongst these disciplines, traditionally integrated in the curricula structures of architecture such as engineering, humanities and the arts. EAAE Charter on Architectural Research, p. 2. The main questions we had for these exchange platforms included: What can currently be considered some of the most characteristic qualities of artistic and architectural knowledge? How can faculties (including architecture, engineering, art and planning) better foster cross-disciplinary project work, which generates cooperative results and insights while at the same time also developing their specificities? 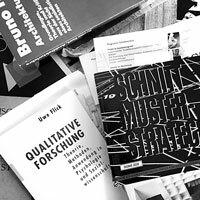 Which potentials does research by and about design reveal, when considered as an academic discipline anchored in (inter-)subjective, artistic and also scientific fields of practice? The weekly "Forschungskolloquium" at the interdisciplinary faculty of architecture, city planning and engineering at BTU Cottbus – at an early stage of this European conversion process from 2004 until 2007 – pursued the goal that all members of the faculty got to know each other with regards to the individual research fields. They were encouraged to enter into an open-minded dialogue as a crucial pre-condition for academic discourse and cooperation while first acknowledging or at least 'tolerating' other disciplines and expert areas, but in best case learning from the diverse fields of knowledge and cultures of thinking. Cf. Jäger: "Creative Processes *X. Interdisciplinary Dialogues". In: Generalist No. 2/2010 Research. Berlin, 2010, pp. 51-59. 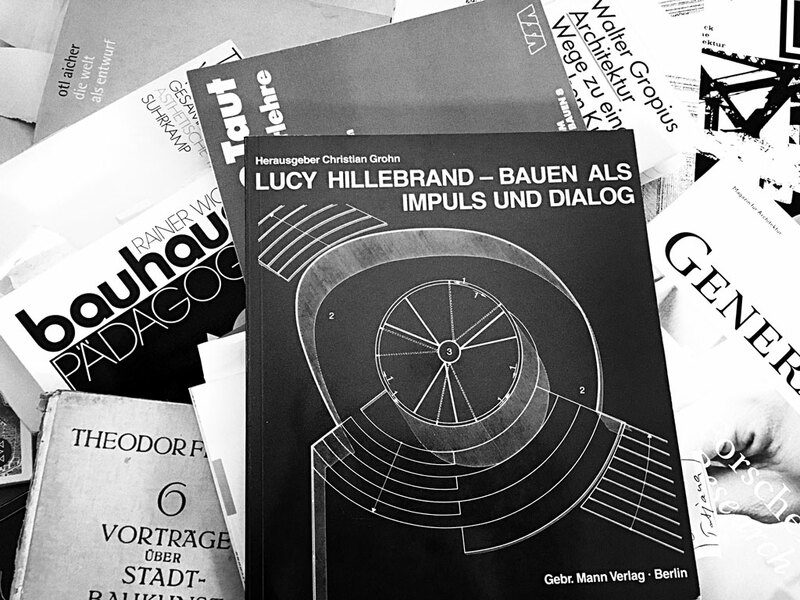 A public discourse about the potential of artistic research and needed structures in 2007 led to the foundation of the first German Graduate School for the arts as part of the "Berlin Centre for Advanced Studies in Arts and Sciences" (BAS) at Berlin University of the Arts. The proceeding experience of the seven-years' doctorate school between 1998 to 2005 ("Praxis und Theorie des künstlerischen Schaffensprozesses", TU with UdK, Berlin), headed by Gundel Mattenklott, has been a first initiative. Following this path until 2009, during the monthly and public "Schaffensprozesse im Dialog" ("Creative processes in dialogue") at the Berlin University of the Arts, and as members of the teaching body, we examined strategies of designing, teaching and artistic research within the disciplines of architecture, design, music, drama, dance and arts in collaboration with colleagues. Traditionally, the students are educated to encode the (hard-working) secrets of the emergence of individual artefacts through years of often lonely periods in which to gain experiences and expertise about a specific subject matter. As a result, the culture of academic and artistic self-reflection would remain an individual treasury to be laboriously cultivated, but not voluntarily or publicly shared. In contrary, this treasure would be kept as a means of distinction and self-assertion towards the competitive art or architecture market. By self-definition, the Berlin University of the Arts is one of the largest and most diversified universities of the arts including four colleges of Fine Arts, Architecture, Media and Design, Music and Performing Arts including doctorates and post-doctoral qualifications. Nevertheless, the dialogue series served to raise awareness and insights within the multi-disciplinary environments of design-related traditions of architectural, engineering and artistic research, which are anchored in practice and reflection to enable inspiration and initiate exchange. Moreover, these platforms sought to motivate trans- or cross-disciplinary research cooperation as an integral part of education in an academic context. The different cultures of knowledge regarding design research, incorporating approaches of natural sciences and technologies (drawing on hypothesis-driven, explicit knowledge, principles or inherent laws with pre-defined methodological approaches) and also diverse artistic research strategies (to be realized through explorative investigation, materialized through context-related drafts, models, projects or concepts) do not only need open academic contexts, rules and structures, but also necessitate – from the beginning of each individual, cross-disciplinary and team-based cooperation – a unique dialogical culture amongst individuals to learn and exchange while undertaking productive and collaborative processes, guided by curiosity, understanding and a desire for knowledge transfer. During the last ten years, while experimenting with the pilot project of the European Master's programme in the context of the international and interdisciplinary network of students and professors of Reiseuni_lab, we set out to examine and understand the distinct positions on design-based education and research between South and Eastern Europe, Central and Northern Europe. During multiple roundtables and conferences in the framework of the platform called "European Architecture Dialogue" – including more than 20 nationalities and three generations of architects, urban designers, urban planners, artists, choreographers, sociologists, politicians and historians of art and architecture – we initially had to define expectations and self-reflect on the heterogeneous self-understandings, multi-faceted traditions of design and architectural research, but we also had to learn about different institutional backgrounds from uniquely architectural schools, which is a traditional model in France and Portugal partly still valid, or highly specialized interdisciplinary faculties that are established in Germany or Austria. We tried to reflexively communicate our didactic strategies on research-based learning approaches through design, while differentiating about terminologies of design – methods, concepts and main elements – anchored in historically diverse societal, political, building and language-related cultures which were influential for the respectively different individual backgrounds of each participant. We debated our divergent expectations on the relevancy of curricula and course contents explicit in project-based research practice, related to local urban societies and regions in Europe – with the goal to illuminate heterogeneous cultures of transforming, thinking, designing and communicating across Europe. The cooperative framework of the master's course explicitly encouraged individual objectives through an incorporated series of locally schemed workshop programmes and results (documented and commented in Volumes 1, 3 and 4 [RR]). Through this general curriculum structure, the ten participating 'schools of design' exemplified the European diversity in architectural education and research. The experimental approaches and reflective comparison of the characteristic, but differential positions over several academic years, can be understood as representative of the heterogeneous European academic landscape in architectural education between 2010 to 2018. In Germany, during this time, the Research-Fellow-Programm "Werkzeuge des Entwerfens" at Bauhaus University Weimar (Tools of Designing, 2010-2012, IKKM Internationales Kolleg für Kulturtechnikforschung und Medienphilosophie), the magazine JAR (open access Journal for Artistic Research, founded 2011), and the network Architekturwissenschaft e.V. (founded 2010 in Berlin), have been engaged in establishing a contemporary research discourse on architectural or artistic research and design – next to the Reiseuni_lab and EAD initiative during this time. With the following three chapters, I intend to further develop the insights and experiences of these aforementioned diverse dialogical practices, reflections and exchanges towards a context-specific theory on research by design, to contribute to the contemporary discursive landscape of architectural research – research by design and research as science. The European architectural culture of knowledge is sketched since the early 20th century and as embedded in a multi-faceted tradition of knowledge mobility and cultural transfer. Cf. Uwe Flick: Qualitative Forschung. Theorie, Methoden, Anwendung in Psychologie und Sozialwissenschaften. Hamburg 1996, pp. 66 ("Schlüsselkonzepte und Perspektiven-Triangulation"). Cf. Jäger: Schnittmuster Strategie, pp. 39 ("Entwurfsforschung ist qualitative Forschung"). 3. 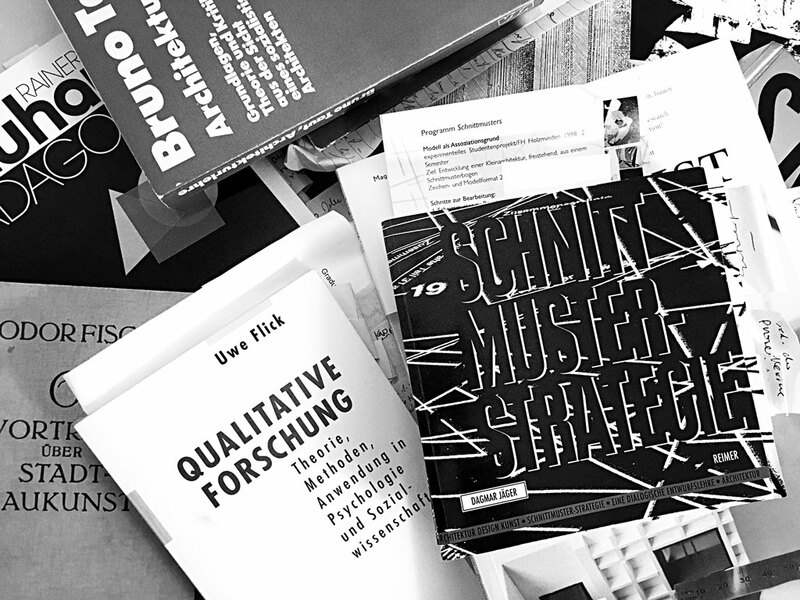 Hermeneutic Strategies of Design Research – Critical Inquiry, Visualisation & Reflection. Next to the multi-layered triangulation through the set of guiding hypotheses, the questions are developed from different fields of architecture research: Architecture history of the 20th century, focusing on professional networks, exemplary projects and shifting paradigms (1st chapter); art history as main reflective field with a focus on interdisciplinary, team-based and spatial research during the 20th century (2nd chapter); and finally, architecture theory, focusing on design theory with a special view on artistic-analytic methodologies (3rd chapter). Through a multi-faceted selection of case studies, the characteristics of these hypotheses shall be exemplified through the variety of different positions and influential structural environments of partnerships, networks or institutions. The examples are described within their historical preconditions as 'enabling opportunities' to illustrate specific forms of architectural knowledge generation, mobilization and transfer. The intention is to illuminate the large variety and bandwidth of 20th century practices and environments of knowledge genesis through experimental designing and reflection thereof by spinning focused 'red threads' as a multi-perspectival and critical network of views within the layers of time and place. Away from the conventional, historical perspective onto the examination of built projects as building types or representations of a 'European' style or biographies, these three chapters seek to deepen the understanding of design processes as practices to reflect research strategies and structures of experimentation and to shape qualities of inter- and cross-disciplinary learning endeavours that go beyond the narrow interest of the built project results or concepts themselves. Cf. Karl Schlögel: Im Raume lesen wir die Zeit. Munich, 2003. The Germany author and historian projects a research voyage deciphering the time(s) as a wide picture of geo-historical and political contexts rooted in its temporal layers and activities, but always also in spatial pre-configurations. The first chapter "Tradition of Architecture Research" will investigate concepts of pioneering real laboratories of the 20th century as role models and highlight a productive field of experimental research through built projects, concepts and manifestos. Three contexts of knowledge production serve to underscore its relevancy for future design thinking: First, the 20th century will be drafted as a historical period illustrative of the paradigmatic shift from social real-utopia as ideals to be built toward gentle urban renewal programmes, focusing on the existing building fabric. Second, interdisciplinary models of real laboratories are illustrated, ranging from the Builder's hut to Bauhaus to Bauhäusle, which are anchored in workshop and learning-by-design contexts as cross-disciplinary catalysts of a European knowledge production. Thirdly and finally, project-oriented workshops at universities and private institutions are discussed as architectural design think-tanks of integrative knowledge production, education and research today. The closer look of the second chapter on the cross-disciplinary phenomenon "Beyond Borders" reflects guiding principles of a process-oriented research by design practice which is increasingly important today as it is being grounded in experimental arrangements, self-made projects and strategies of collective appropriation developed since the early 20th century. To improve urban built and social environments of democratically-minded societies, community-oriented and non-hierarchical processes of transformation have been developed in the form of temporary artistic networks, of building co-operatives or owner communities. With a specific focus on the laboratory-like situation in Berlin after the fall of the wall, anti-consumerist concepts and housing experiments are presented to uncover the paradigmatic shift from the 'great' ideologies of the 20th century towards locally-oriented ‚germ cells' of architectural thinking today. The third chapter on "Hermeneutic Strategies" introduces analytical, reflexive and creative design strategies that deal with the investigation, interpretation and transformation of context-specific knowledge to display concrete spatial relations. The careful deciphering of the existing building fabric or infrastructures is considered the cornerstone of a research-based design practice today to approach given urban contexts and heritage sites within processes of interdisciplinary team constellations. Two analytic strategies of research-oriented design processes in the field of iterative-progressive strategies of transformation are illuminated: The associative 'reading' of traces and the diagrammatic visualization of complexity through mapping, which serves to excavate, discover, interpret, visualize, balance or assess multi-disciplinary information gathering. In addition, the critical reading of sources, experiences, sites and conditions aims to decipher the invisible and tangible to then rationalize conflicting positions and historical layers within design processes – to generate the mobilization of new spatial opportunities, for insights and thoughtful accumulation of knowledge. This second Volume (of the four Volumes of the European pilot project) could be understood as a self-reflective biographical positioning and cartography through key references of architecture history – similar to Aldo Rossi's 'scientific autobiography'. But instead of focusing places of memory, architectural examples or thoughts on space and design, the architectural repertoire for processes of design throughout the 20th century will play a key role while reflecting on design frameworks, paradigms and societal contexts as shaping these conditions. The personalities, institutions and projects, which have been selected and discussed, are chosen as examples and by no means exhaustively described. Instead, they serve as models to clarify the multi-faceted environments, prerequisites and opportunities of design research as architectural key tradition since the early beginning of the 20th century until today. The various perspectives of all chapters should provide a theoretical framework and reference point to unpack and portray the diversity of knowledge generation, transmission and reflection within our discipline of design. Aldo Rossi: Autobiografia scientifica. Parma 1990. Ibid. >>>V:I_1.4 Point 4: Architectural Research is Design Research. 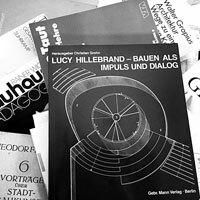 The pioneering credo of Lucy Hillebrand, throughout the 20th century, one of the first leading female architects and an influential role model for myself, explains the method of multi-layered research through opening the design process, in order to 'ask a task in all the dimensions': "Cooperation in the creative design process explodes existing orders and replaces them by new orders emerging from the multiple perspectives of the task." Quoted from: Klaus Hoffmann: Lucy Hillebrand – Wege zum Raum. Göttingen 1985, p. 49: "Kooperation im schöpferischen Entwurfsprozeß sprengt bestehende Ordnungen durch neue Ordnungen aus den verschiedenen Dimensionen des Aufgabenbereiches." The superordinate objective of this volume is to draft a sketch of an applied architectural history for the contemporary knowledge society in transformation. Tracing the discipline's specific characteristics of a research by design culture, the multi-faceted traditions of architecture through research by, on, through and about design, contour the unique creation of design processes as search for insights and understanding of complexity. This complexity is geared towards the discovery of diverse opportunities for processes of spatial problem-solving, towards the planning of inter- and cross-disciplinary cooperation, and towards empowering strategies of border-overwhelming design processes of solution-finding, which is one of the central starting points for project development, theory formation and epistemic practice.